Rumors ain’t rumors anymore! Apple has officially launched their new voice activated speaker that’ll compete with the Alexa and Google’s wireless speakers. 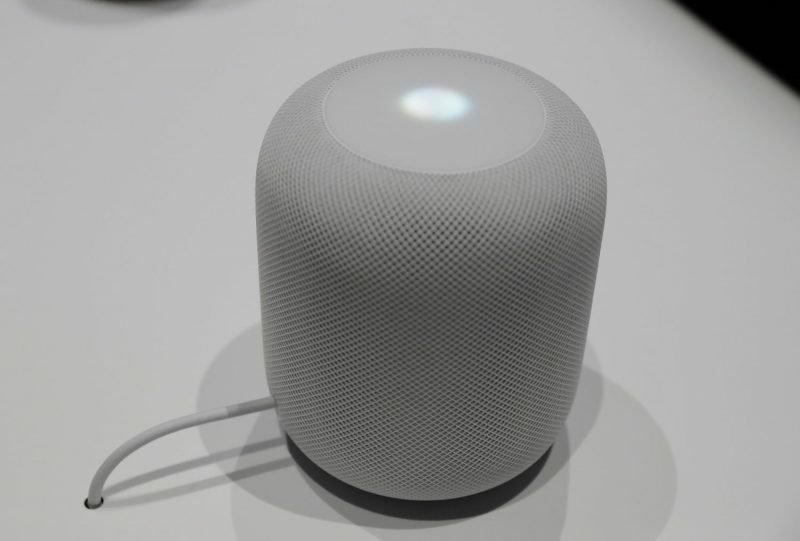 As Apple held its Annual World Wide Developers Conference last June 5, 2017, in San Jose, California, they’ve confirmed the rumors and introduced the speaker, HomePod, the new sound of home. It’s an impressive audio and intelligence in one speaker. This speaker is unlike other smart speakers that compromised their sound performance. The Apple’s HomePod intelligent speaker with its virtual assistant program, Siri, is set to listen and respond to voice commands by just saying, “Hey, Siri.” You’ll get its attention and respond to whatever you’re saying. It can play music, answer your queries, give information. It updates you with the latest weather forecast just like other voice-activated smart speakers from Amazon and Google. It can hear your voice commands even when you’re across the room and even if the music is played at a maximum volume. Aside from the voice command, it’s also touch-sensitive. It responds to your touches at the top of the speaker. Tap the top panel of the speaker to pause or play a track and adjust its volume. The top panel also features a LED waveform that indicates if Siri is listening. The Apple HomePod stands about 7 inches tall and 5.6 inches width. It’s made of mesh fabric and features a simple yet elegant design. You can choose from white and dark gray colors. It features the same A8 chip found in iPhone so it can adjust its sound performance depending on its setting. You can conveniently place it anywhere, and it’ll automatically sense and analyze the surroundings. It also produces the best sound quality for the environment. When it comes to sound performance, you don’t get less with the Apple HomePod. It has a woofer with high excursion and custom amplifier that delivers a rich bass. It also includes an excellent motor that drives an unbelievable 20 mm diaphragm. It utilizes an advanced algorithm that allows the speaker to analyze the music playing and intelligently adjust its frequencies. Hear its great 360-degree surround sound with the seven-tweeter array that focuses the sound from narrow beams. According to Apple, it’ll be available for shipment in December with a price of $349. At the conference, they also announced the most powerful Mac ever (as they say), the iMac Pro. It’s also scheduled for release in December with a price of $4,999.